Bares Capital Management, led by Brian Bares, disclosed in a filing that it now holds 855,324 shares of Hallmark Financial Services, Inc. (NASDAQ:HALL), representing 4.44% of the common stock of the company. This is lower than 1.41 million shares held at the end of September 2013. Hallmark Financial Services, Inc. (NASDAQ:HALL), the holding company for a clutch of insurance firms, provides insurance cover for property damage and human casualty for both its retail and business customers. Michael P. Binns was appointed as the President of Hallmark Financial Services, Inc. (NASDAQ:HALL). Michael P. Binns, now leads the Personal Lines business unit in addition to the other product lines of business. 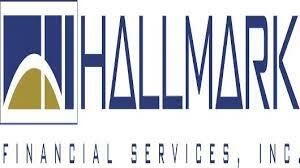 Hallmark Financial Services, Inc. (NASDAQ:HALL) reported net income of $6.3 million for the third quarter of 2013, versus $3.4 million in third quarter of 2012. The total revenue amounted to $108.6 million versus $85.6 million a year ago. The growth in revenue was attributed to increased premium production and resulting earned premium from the Standard Commercial Segment and the Specialty Commercial Segment. Of the other hedge funds that we track, Royce & Associates, managed by Chuck Royce, held 138,000 shares at the end of September 2013, worth $1.22 million. John Overdeck and David Siegel’s Two Sigma Advisors, trimmed its stake in Hallmark Financial Services, Inc. (NASDAQ:HALL) by 9% in the third quarter and now holds 15,900 shares. Bares Capital Management, focuses on small and micro-cap companies, and follows a bottom-up approach. The fund invests in inefficiently priced stocks, with less churning of portfolio. Earlier, Bares Capital Management, cut its stake in American Public Education, Inc. (NASDAQ:APEI), to 0.18% representing around 31,000 shares, down from its previous stake of 2.6 million, the selling took place when the stock was up 17% year-to-date. Also Brian Bares, upped his stake in RealD (NYSE:RLD) to 7.96 million shares from some 5.9 million shares.